These days buying a camera is something a lot of people don't bother doing. After all, the expensive smartphone in your pocket probably has a camera that produces nice results, and for a lot of people that's enough. But camera phones still aren't up to the job of producing 'photo album-worthy' images, and that's where the 'proper' cameras come in. For that you need something that offers a bit more creative control. That might be through an interchangeable lens system, the option to use a proper flash, and a variety of shooting modes from automatic, through to fully manual. Every camera handles this sort of thing differently too, and picking the right one can be daunting in itself. So what we've done is broken down the most popular types of camera, so you can decide which is best for you. Of course, all cameras will be priced in totally different ranges, so check out the relevant buying guides to discover which exact camera is perfect for you. It's true to say though that every camera recommended in those guides will offer you more than your smartphone currently does. Looking for a little more advice? Mirrorless cameras are one of the newest categories of camera, and are also the most versatile. Where as traditional DSLRs require a chunky mirror to reflect light up to the optical viewfinder, a mirrorless camera, as the name suggests, doesn’t require a mirror. The lens projects the image directly onto the sensor, and you'll see the digital image on the display or on the electronic viewfinder. The absence of a mirror means they're often smaller and lighter than their traditional predecessors – and while it used to be that the trade off for that size reduction was a loss in image quality, that isn’t the case any more. As the name suggests, compact cameras are small but still pack a punch. They are even smaller than mirrorless cameras, and usually have a smaller sensor (which means slightly worse performance). There's a massive range of choice when it comes to compact cameras. Each of the models chosen in our expert buyer's guide offer something your average smartphone can't. That could be a large sensor, optical zoom, or manual controls. It's a diverse market, so you'll alway find something to suit your needs, whether that's 4K video recording, or a retro snapper with a super zoom. If you're a traditionalist, then you'll probably want a DSLR. While there are plenty of excellent mirrorless cameras available, some still prefer the look, feel and mechanics of an DSLR. There’s lots of choice on the market, with a number of niches catered for. Whether you’re a beginner, you’re at the high-end enthusiast or even professional end of the market, there's a DSLR option available. Looking for something to capture your surfing trip to Cornwall or your MTB run down Snowdonia? You'll want a rugged action camera. It's worth noting, though, that action cams are no longer just for extreme sports enthusiasts, they're also excellent cameras for a number of other occasions (I recording my wedding with one, for example). A travel camera is something light, small, discrete, and most importantly versatile. Ideally it'll fit in your hand luggage and won't be a nuisance when you're exploring a new location, but will take amazing pictures in a number of different scenarios. Ultimately, it must be a camera capable of showing off your travels at their very best. 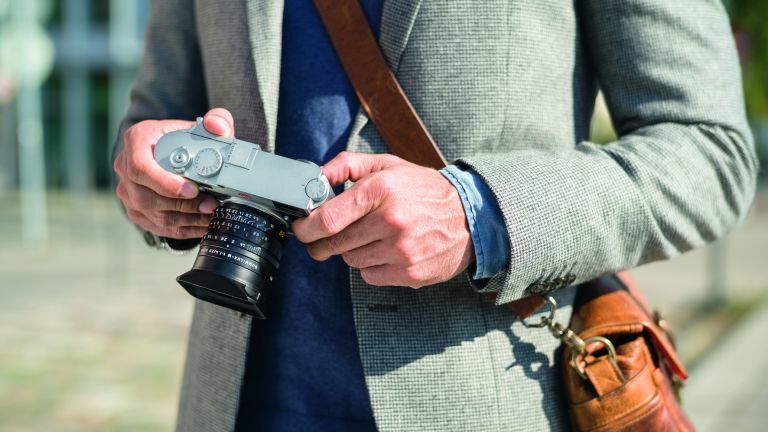 The past few years has seen a revival of these quirky little cameras, and in 2019, there’s actually a heck of a lot of choice if you fancy picking up an instant camera. They're a lot of fun, and can often make a party or occasion, giving you something physical to cherish forever. If you’ve started to outgrow the capabilities of your smartphone, you might be thinking about purchasing your very first ‘real’ camera. You'll probably want something which can teach you the basics, with room to expand, and affordable. Giving a camera to a young child can be a fantastic way of unleashing their creativity. Not only that, you'll also get a great alternative viewpoint on your family trips, holidays and memories.